There doesn’t really seem to be a clear common consensus as to whether a Twitter PLN should be a professional or a personal learning network. Certainly I think it should probably be a bit of both. Also, as when dealing with all social media, you should be mindful of your school’s social media policy. You should also be mindful of protecting your own professional identity when posting online. All that said, here are my top 5 tips for creating a PLN…. Stalk first, engage later. Finding a great PLN is easier nowadays as there is such a plethora of great edutweeps out there, both nationally and internationally. There are lots of subject specific people out there too. I would start by looking at the #ukedchat hashtag and see who catches your eye with what they say. If you can’t wait for a Thursday night between 8 and 9pm, then visit the #ukedchat site and look through the brilliant archives. 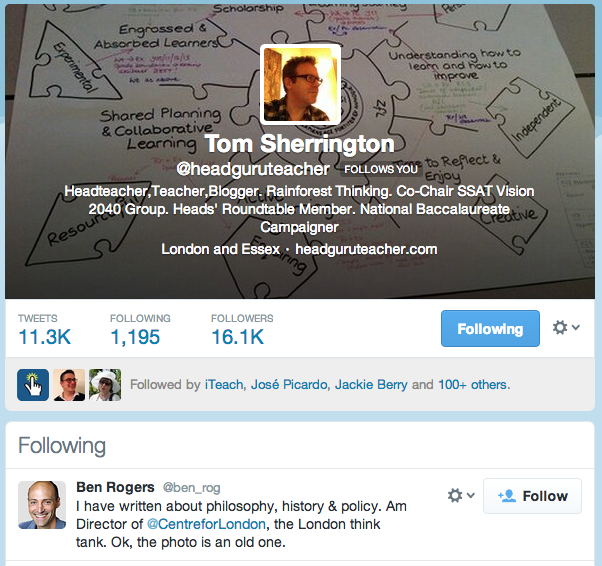 Once you’ve found some great people to follow (let’s take @headguruteacher for example) – then take a gander through the people they follow too. You’ll find that the people they follow will normally have similar thoughts and ideas. Engage. And because when you first start using Twitter it’s a bit like talking to yourself make use of the hashtags. Add them to your tweets. This will help people to see that you’re there as they won’t be following you yet so they won’t see your tweets. There are lots to choose from. @cybraryman has loads to choose from via his page here: http://www.cybraryman.com/edhashtags.html and this ‘Complete guide to Twitter hashtags’ by TeachThought.com: http://www.teachthought.com/technology/the-complete-guide-to-twitter-hashtags-in-education/. Be polite. I know characters are limited but a please and a thank you go a long way; at least they do with me. Finally, guerilla tip number 6… have your Twitter profile open and not closed. Add a profile pic (not the egg) and a brief profile too. That way – you’ll be more likely to have others engage with you, respond to you and follow you back. This list is clearly not exhaustive but hopefully this will help you get started! 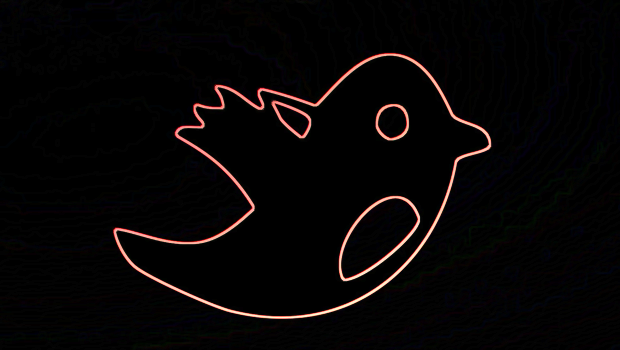 Lists are one of twitter’s underused resources. A general teaching and tutoring list and a PLN list for those teachers you actively engage with and learn from most is essential to cut through the noise of the main timeline. I wish twitter would cut accounts from the timeline once they were listed. It would add another layer of sort and encourage interaction. 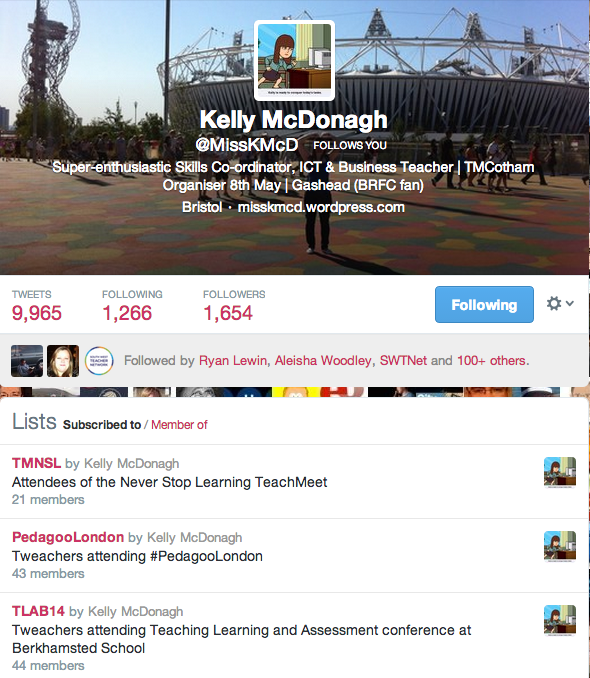 I curate lists of UK-based teachers at @UKTeachers. Over 1500 at the time of writing, spread across 18 different lists. Might also be a good place to start if new to Twitter.